Legrand Life ED777WE double gpo. Life mechs and covers are not interchangable with older hpm excel range. 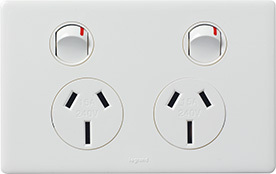 This product is genuine Legrand and meets all relevent Australian standards.